BollywoodGaram.com is an entertainment news portal which provides the latest in the glamorous world of Bollywood. Get the hottest new stories on India’s most loved actors, actresses, movies, filmy gossip, awards shows, interviews, movie song releases, fashion events, television serials, photo shoots and just about anything related to the glitzy world of Bollywood. Bollywood: The “Hollywood” of Indian cinema – namely Hindi movies. What is Bollywood famous for? Think colorful dance sequences and super hit songs in the traditional filmy style, but that’s not it, Bollywood has also successfully lured several international actors/actresses to be featured in India’s dazzling tinsel town. Garam: It means Hot in Hindi. If something makes temperatures soar Or is considered as spicy gossip, then it’s got to be garam (hot). BollywoodGaram.com is based in the backyard of Bollywood ie. Mumbai and we get you the latest Bollywood news, trending movie reviews, exclusive photos and Bollywood drama – all served piping hot (garam). Bollywood Garam – Bollywood, served sizzling Hot! 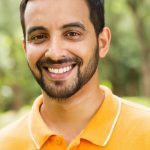 After having worked in an entertainment event management company in India as part of an exchange program, Josh decided to use his experience and passion for Indian entertainment by putting it into words and pictures for the world to see. A professional nature photographer, and nicknamed “paparazzi“, Josh has a keen eye for stars. His love for Indian cinema began when his favorite Miss World winner (Aishwarya Rai) entered the glamorous world of Bollywood. After completing her Masters in Journalism, Neha worked for an Indian news agency and covered Indian entertainment news. She has interviewed numerous Bollywood stars, and is an on-field reporter who gets the answers she is looking for. Neha also keeps a tab of the latest celeb fashions and trends at BollywoodGaram.com. Anita is an advocate by qualification, who found true love in journalism. A south Indian born lass and brought up in Maharashtra, she completed her Masters in Mass Communication to pursue her dreams to play with words. 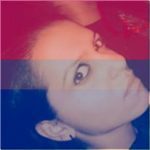 A passionate dancer, who loves to cook in spare time, she is the live-wire of the team and top film-critic at Bollywoodgaram.com; her passion for decoding stars is quite visible in her articles. British-born Katrina got introduced to the world of Bollywood a few years ago by her Indian friend and has become a fan of the glitz of Bollywood and the spicy Indian food. 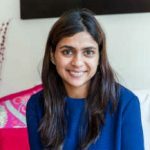 As an international writer for Bollywoodgaram.com, Kat follows all events, shootings and sightings of Indian celebrities in the UK and places in Europe. She has even started learning Hindi, so that she can understand Bollywood a lot better! 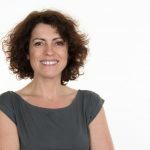 Originally from Britain, Amanda has made Goa her home for the last 20 years and her love affair with Bollywood began shortly after coming to India. She’s a die hard Shah Rukh Khan fan and loves writing!